For this piece, I’ll be looking exclusively at murder rates among transgender individuals. There have been a number of high-profile murders of transgender individuals in America recently, and according to NBC News, this string of murders has the transgender community on high alert nationwide. None of this following analysis is meant to downplay those tragedies – I simply aim to show that statistically speaking, you are not more likely to be killed if you are transgender. In fact, you’re much less likely. My goal is simply to counter victimhood and “oppression” narratives that the social justice community pushes on transgender people, which, in my opinion, does far more harm to them than good. So let’s look at the numbers. Last year, 27 transgender individuals were murdered – which is the highest number on record. 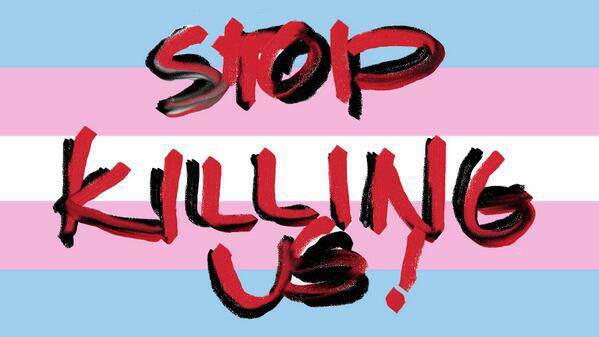 The transgender population is 1.4 million – meaning this is a murder rate of 1.93 per 100,000 individuals. The 1.4 million figure is a doubling of prior estimates of the transgender population, so for the sake of argument, the transgender murder could be as high as roughly 4 out of 100,000. By comparison, if we’re to look at the data historically, from 1980-2008, the homicide victimization rate for males averaged 11.6 per 100,000, compared to 3.4 per 100,000 for women. The numbers have dropped off a bit since then. In the most recent year that the FBI has data available for the national murder rate (2015), there were 4.9 murders per 100,000 individuals. The only demographic I could find experiencing a lower homicide rate than transgender individuals is white women, who suffered a homicide victimization rate of 1.6 per 100,000, though given the low homicide statistics among Asians as a whole, that’s probably also the case with Asian women. But what about non-murder violence? I’d be pretty amazed if transgender people weren’t victimized more in as least some way. This doesn’t mean oppression of transgender people isn’t occurring. It seems highly possible that people who feel comfortable identifying and expressing themselves as transgender will also be those who take precautions to protect their safety knowing that people are attacked explicitly because they are trans. When trans people don’t leave their house or maybe don’t even “come out of the closet” at all out of fear, that constitutes oppression in a way that would actually decrease the body count. This is a complete misuse of statistics that I suspect would be laughed out of any statistic classroom. For this comparison to be at all valid, the murder rate and proportion of openly transgendered individuals would have to be evenly spread throughout the country. It is not even close. Murder rates nationally – and even within specific cities – are highly skewed by a few small pockets with very high rates, in wider areas of much lower rates. Openly transgendered individuals are similarly located at high concentrations in a few small pockets and are rare or absent in most of the rest of the nation. To have a valid comparison of safety for trans- and cis-gendered people would require comparing numbers within specific communities; otherwise your comparison is apples to oranges.